SKU: IMG-L80U. Category: Kino Flo. 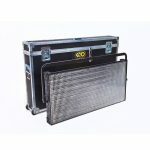 panel array capable of hitting the maximum lux points without sacrificing soft, super green colour density essential for travelling matte photography. The Kino Flo Image Series was born! The light changed the way Hollywood has made movies ever since. Years of advanced chemistry and software design research have served as the foundation for a new generation of Kino Flo Lighting’s Image L80 LED fixtures, endowed with superior white light (>96 PRI/98 TLCI) and boasting a full hue and saturation gamut, including the company’s own super green and super blue visual effects colours. 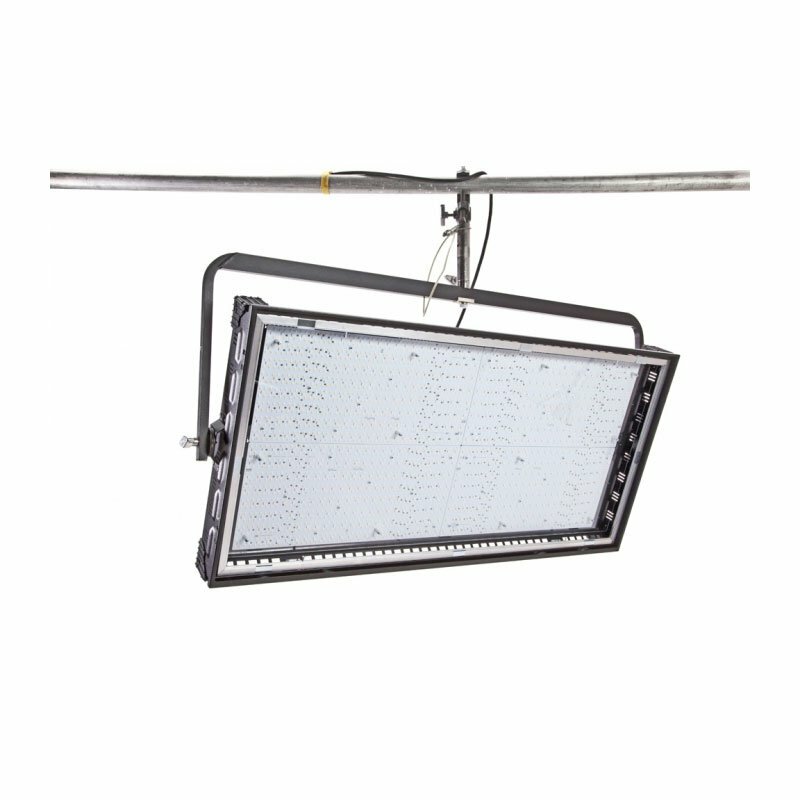 ensure an even flow of illumination from the top of a cyc wall (as high as 60 feet/20 meters) all the way out to stage forward. 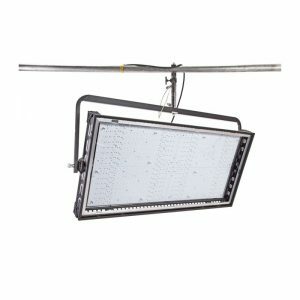 The down-facing panels are as bright as tungsten space-lights, and the True Match® firmware ensures more dynamic light control than other LED space-lights. Kino Flo Lighting’s Image L80 photo-metrics and control specifications are available online for download into pre-visual studio design programs and professional lighting console profiles. any flicker and can be adjusted in coarse or fine mode by pressing the control knob in/out. The Kelvin range is tunable from 2700K tungsten to 6500K daylight. The Green/Magenta control can be scaled from 0 to 100, where 25 = ¼ correction, 50 = ½ correction and 100 = full correction. the gel will be applied or removed. A fifth channel called Hue Angle (Hue) and sixth channel Saturation (Sat) are also included in the gel menu. These two channels behave similar to a traditional colour wheel, where white light is in the centre and Hue Angle determines the colour along a 360-degree range and Saturation determines how much colour is applied. With the Hue Angle and Saturation it is possible to create over 2 million colour combinations! predetermined RGB presets or colour wheels. RGB menu is also a great feature to dial in specific gel RGB values or when controlling colours from a DMX desk. Traditional Yoke Mount with two position setting, Pole-Op.